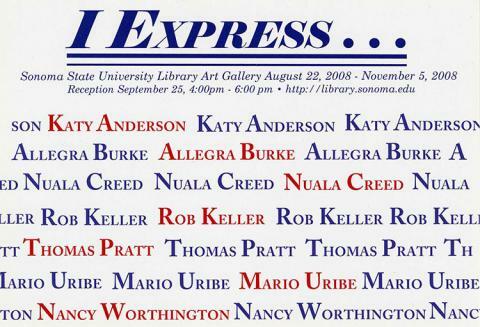 I Express... is a project of the SSU Gallery and Museum Methods class and the University Library Art Gallery in support of It Matters: Engage. Participate. Vote.